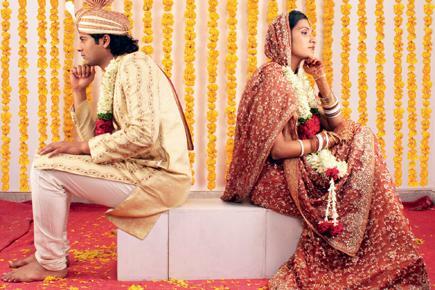 Pre-wedding jitters are common myths to laugh off rather they need to be attended to seriously. Come out of the fantasy that weddings get called off because the bride or the groom gets cold feet about getting married only in movies. It happens in real life too. Scientists have come up with many psychological explanations over the years. The marriage phobia occurs on the thought that your entire life will get changed after the wedding day and hence all form of doubts starts growing in your mind. If you are to live ‘happily ever after’ you must be able to fight wedding jitters successfully. Below are some of the tips for your guidance. 1. Most people starts pondering on their decision to get married right on their wedding day and gets all confused. In such a situation they should be asking the question ‘what was I doing till now?’ to themselves. This will serve as the bell to remind that the thinking and analyzing part is already completed done. 2. Many a time wedding jitters are merely flutter of nerves. Might be you are emotionally charged and also a bit stressed or your hormones are playing weird trick on you. If this happens try to dismiss your apparent pangs of commitment phobia as a chemical reaction. 3. Remember that it does not take any silly jitter to break a relationship, a small doubt can turn ugly and do the same- break a relationship. If you are having a similar kind of commitment phobia, try to think about the high points of your relationship and skip the dark ones. 4. If your married friends start giving you last minute tips on life after marriage, ask them to stop immediately. You will have to wear your own shoe and thus manage your married life according to your own accord. Save all the horror stories for later friends. 5. Probably the feeling you are getting has nothing to do with commitment all. May be you are just stressed about your makeup being right or your hairdo coming off at the ‘moment’ on the big day. 6. Every woman plans their dream wedding right from the time they understand the concept of wedding. Thus if something does not go as planned it strikes their nerves and they get jitters. 7. Marriage is an uncertain phenomenon of life. You commit to it or do not; you will have to regret what –so-ever. Therefore, it is better to have the experience of married life and then regret it instead of not having the experience but still regretting.